This is an honourable book, which aims to give a voice to one of the many displaced children who find themselves in classrooms across the UK. I had not heard of the author before, although her publisher, Frances Lincoln, has a fine reputation for its multi-cultural list. I learnt from Nicki Cornwell’s website that she has a background in work with both troubled children in institutions and asylum seekers. This experience informs a sensitive book which, in addition to tackling a delicate subject, has the added responsibility of making it accessible to primary school readers. 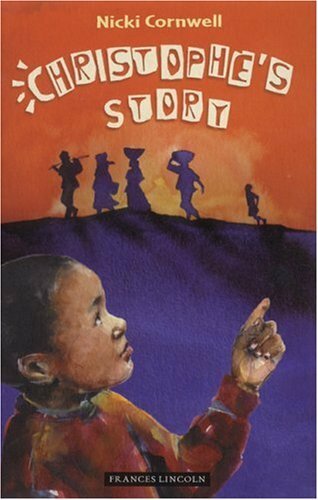 As Miss Finch recognises her mistake and encourages Christophe to tell his own story first to the class and then to the whole school, the book demonstrates the journey that both pupil and teacher must undertake in understanding. I am not sure how many children would pick up this book for themselves – and there might even be a danger of its precipitating difficult memories for some – but, carefully introduced by a teacher, it should have multiple uses in the classroom. Some parents, too, might find it helpful in assisting their child to negotiate the confusing new world they find themselves in while still dealing with a traumatic past.